Jacques Pépin is world-renowned as a chef and the host of his acclaimed and popular cooking programs on public television, and as a respected instructor, a prolific author and gifted artist. Pépin has been awarded the highest honor by the French Government and holds the title of CHEVALIER DE L’ORDRE NATIONAL DE LA LEGION D’HONNEUR. Pépin currently hosts public television series, Essential Pépin. Featuring recipes for fast, healthy meals, this is the thirteenth series hosted by Pépin and produced by KQED Public Television in San Francisco. It is being broadcast over public television stations nationwide. The companion cookbook to the series, also called Essential Pépin (Houghton Mifflin, Boston, MA), will be published in October 2011. Pépin’s memoir, The Apprentice: My Life in the Kitchen, was published by Houghton Mifflin in 2003 and in paperback in May, 2004. He is also a proud grandfather of his daughter Claudine’s first child, Shorey. Pépin was born in Bourg-en-Bresse, near Lyon. His first exposure to cooking was as a child in his parents’ restaurant, Le Pelican. At age thirteen, he began his formal apprenticeship at the distinguished Grand Hotel de L’Europe in his hometown. He subsequently worked in Paris, training under Lucien Diat at the Plaza Athénée. From 1956 to 1958, Pépin was the personal chef to three French heads of state, including Charles de Gaulle. Moving to the United States in 1959, Pépin worked first at New York’s historic Le Pavillon restaurant, then served for ten years as director of research and new development for the Howard Johnson Company, a position that taught him about mass production, marketing, food chemistry and American food tastes. He studied at Columbia University during this period, earning an M.A. degree in 18th-century French literature in 1972. In 1997, on the 50th anniversary of the creation of the School of General Studies at Columbia, Pépin was honored along with four other distinguished alumni of the School, each representing a different decade in its history. Pépin shared the spotlight with Julia Child in a PBS series that still appears on public television stations. 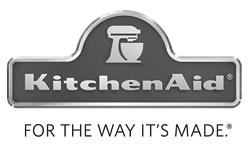 The twenty-two episode series, Julia and Jacques Cooking at Home, was the winner of The James Beard Foundation’s award for Best National Cooking Show — 2001, and the duo received a 2001 Daytime Emmy Award from The National Academy of Television Arts and Sciences. 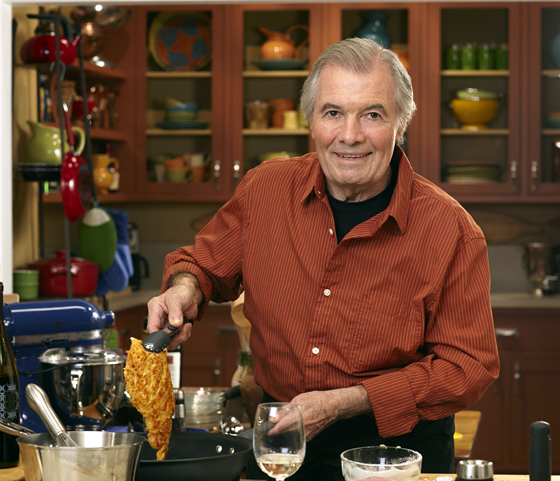 There are companion cookbooks to the series with Child and to two earlier public television series he co-hosted with his daughter — Jacques Pépin’s Kitchen: Encore with Claudine (1998) and Jacques Pépin’s Kitchen: Cooking with Claudine (1998). A former columnist for The New York Times, Pépin writes a quarterly column for Food & Wine. He also participates regularly in that magazine’s prestigious Food & Wine Classic in Aspen and at other culinary festivals and fund-raising events worldwide. In addition, he is a popular guest on such commercial TV programs as The Late Show with David Letterman, The Today Show, and Good Morning America. Pépin is the recipient of three of the French government’s highest honors: he is a Chevalier de L’Ordre National de la Legion d’ Honneur, Chevalier de L’Ordre des Arts et des Lettres (1997) and a Chevalier de L’Ordre du Mérite Agricole (1992). He is the Dean of Special Programs at The French Culinary Institute (New York), and an adjunct faculty member at Boston University. Pépin is a founder of The American Institute of Wine and Food, a member of the International Association of Cooking Professionals, and is on the board of trustees of the James Beard Foundation. He and his wife Gloria live in Madison, Connecticut.